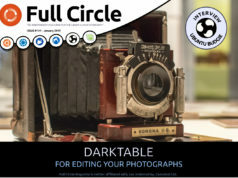 Home magazine full circle – issue #2! * How-To : Install Ubuntu on Intel Mac Mini, Virtual Private Networking, Learning Scribus part 2 and Ubuntu for your Grandma! 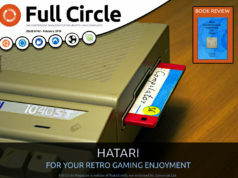 * Letters, Q&A, MyDesktop, MyPC, Top5 and more! Thought I’d asked for a link back to my site? I really like the magazine logo! Well done! Also the content is nice and the layout is pretty professional. Keep up the excellent work and thanks for your time and contributions! Loved the Granny article! Very cute and entertaining. The magazine could keep using these “real world” hands on examples. Thank you for this great magazine! Your hard work really shows. I love the way you have the information and articles laid out. I look forward to issue 3! Great E-magazine, it reminds me of Tux magazine too but I hope this magazine will last a long,long time. I wish I have gotten this issue sooner. It will save me a lot of headache while doing the “dual boot” process. I really love the KDE version. Only problem is….Kubuntu can’t find my modem. Anyway, you guys are doing great! Keep it up! Really good! I’m subscribing now! I really liked the “Grandma” story, and I suggest an “how-to-guide” for newbie on, well, how to customize your desktop… You know, “Panels”, “drawers”, that kind of things. Windows users, I think, are always fascinated by the opportunity of having choice on “the bare necessities” or “lots of options”.